From solopreneurs to Fortune 500 executives, our diverse clients share a common struggle. With the convenience of working remotely and the ability to be “connected” anywhere and anytime, taking work home is becoming a regular occurrence (nuisance) for business people in all lines of work. While putting in extra hours at home may seem like the only feasible solution to getting it all done, it can take a toll on your stress level and your personal space. This was the case for Steph Gibbs, manager of Perpetual Motion Gymnastics. 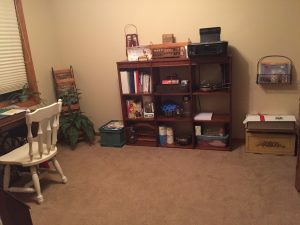 Hiring a professional to help maintain a work/life balance not only helped her manage her time more efficiently, but also allowed her to take control of her newly organized home office. Coaching Steph on Time Management was an essential part of the process. Clients often express that they “need more time in the day” or that there “just isn’t enough time to get it all done.” While that might feel true for many, the reality is not a lack of time. Using time efficiently is the common struggle, particularly for busy entrepreneurs like Steph. Here’s an example of how time management coaching has helped her. Working with you has made a big difference. Before on a typical day, I wouldn’t have enough time to get everything done. Now I get work done, and feel I have time to get more done still. Using time more efficiently can make a world of difference for business management. 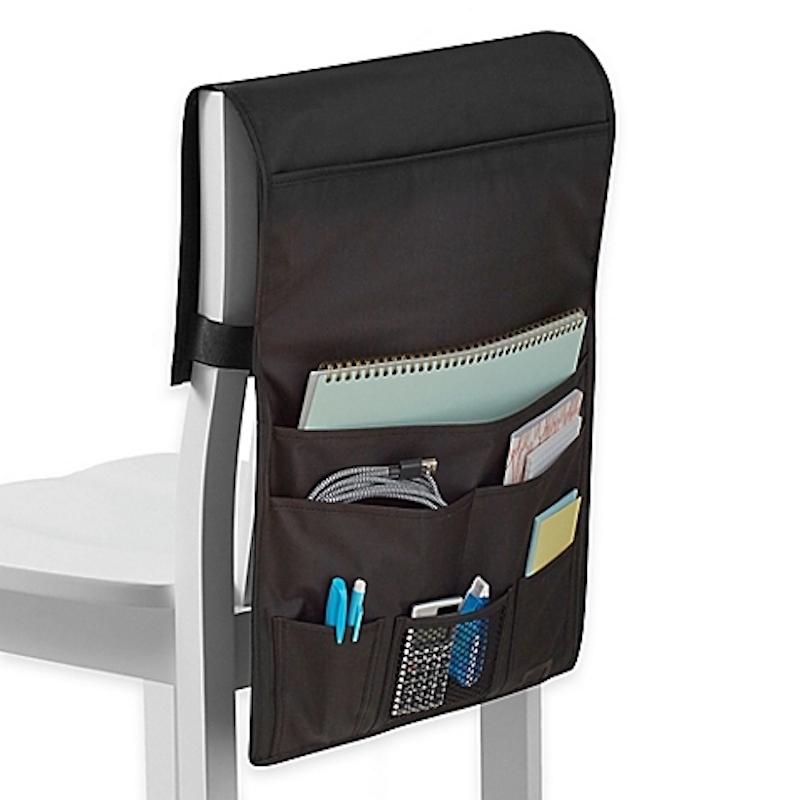 Learning what to take home and what must stay at the office was key for Steph in prioritizing. Just because work wasn’t done, did not mean it was going to get done by taking it home. 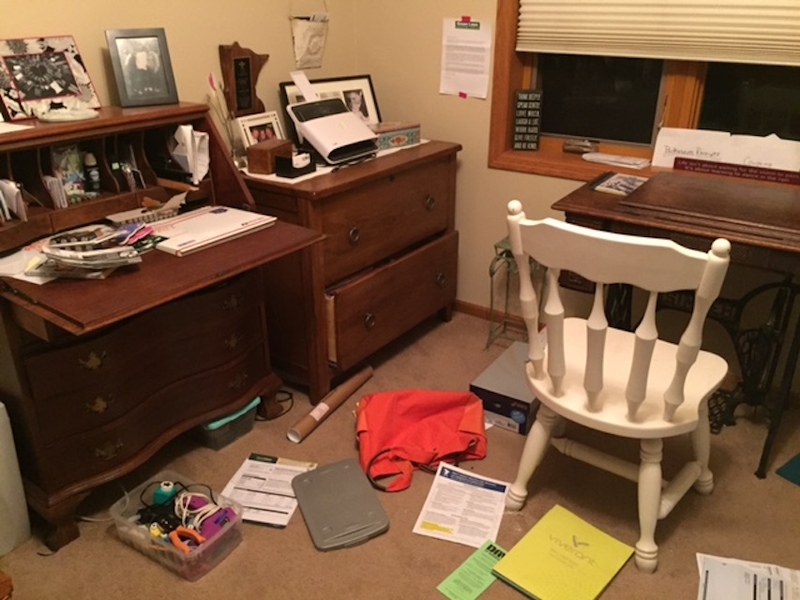 Taking it home just resulted in more clutter, stress and feelings of being overwhelmed and unproductive. Physical piles in multiple locations create the feeling that there is more work than time in the day. Once we were able to help Steph determine which items could come home and what needed to be completed at the office, the amount of actual work became more tangible and manageable. “Before with all the paperwork lying around you would think I had hours of work to do.” Getting organized brought more attention to her top priority work, making it much more manageable then she realized. 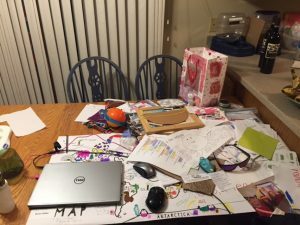 She now has a system for tracking her most important work. Not only can time management coaching improve your work/life balance, but it also allows you to be more present in your business. For a business owner, being present creates a positive image that helps attract and retain customers. In Steph’s case, taking her work home wasn’t just consuming her personal time. It was taking over her home, physically. The clutter in her home office caused her to avoid that space, resulting in her work taking over the kitchen table. 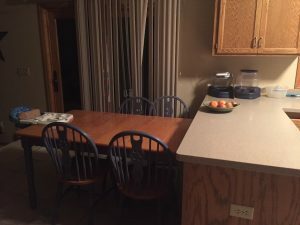 One of her goals in the process was to regain her family space – to be able to eat a meal at the kitchen table! 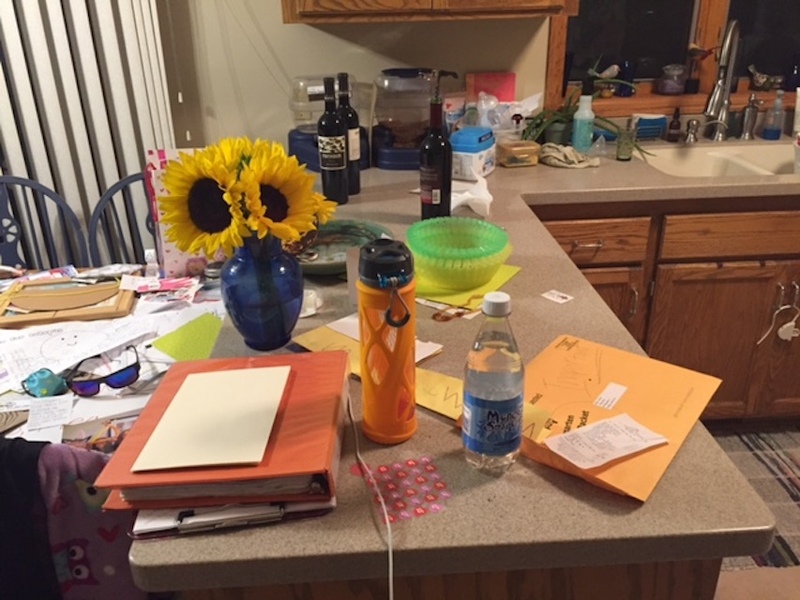 An example of how work clutter impacts your home life can be very apparent in just taking a look at the piles. Countless work documents, files and papers crowded her living space. 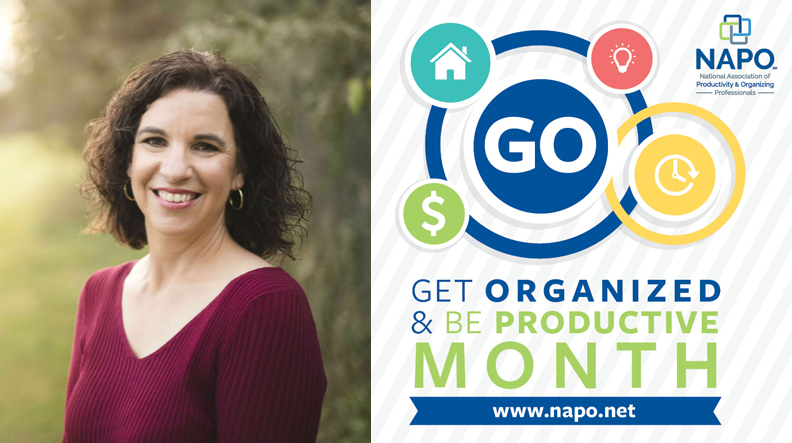 Getting organized helped her get control of her space at home, while maintaining productivity at work. 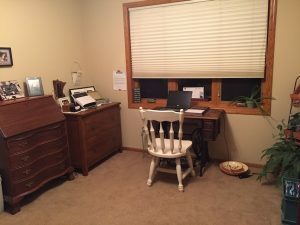 Having a place for everything saves time and energy, contributing to a more productive work day and better work/life balance. 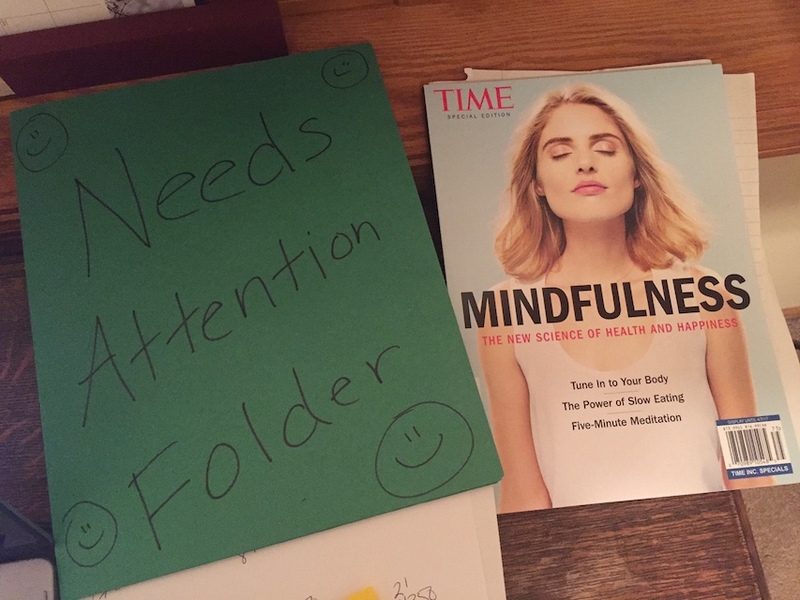 Something as simple as a “Needs Attention Folder” keeps her organized and on top of her daily priorities like bills and phone calls to be made. This is the best my office has looked in over 5 years! (Since my first kiddo came along) Also, we can eat at our kitchen table now! This project has been all about creating a work/life balance for a busy mom, wife and successful businesswoman. Getting organized and managing time reduces the “mental clutter” that leads to stress and tension in the home and at work. To sum up what her strategically placed Time magazine has to say about Mindfulness: To look back at the past can cause depression. To worry about the future can cause anxiety. The best thing to do is to be present and focus on the moment. In Steph’s situation, we hoped to teach her to not fret over her never ending to do list, but to help her focus on the moment and to define her top priorities to ensure she gets the most important work of the day done. 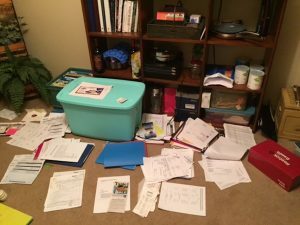 Getting rid of the excess piles and utilizing time management strategies helps bring clarity to what is the most important work of the day and helps ensure that feeling of accomplishment.